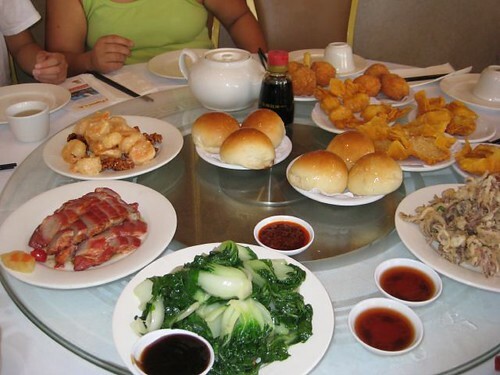 Better days: when buying 20 tickets took 1 minute, the delights of SGV dim sum seemed delightfully close. The MTA took our SGV dim sum away! The TAP card system needs to be fixed to allow quick purchases of groups of individual fares (as it once did using paper tickets) or TAP needs to be removed and paper tickets reinstated. 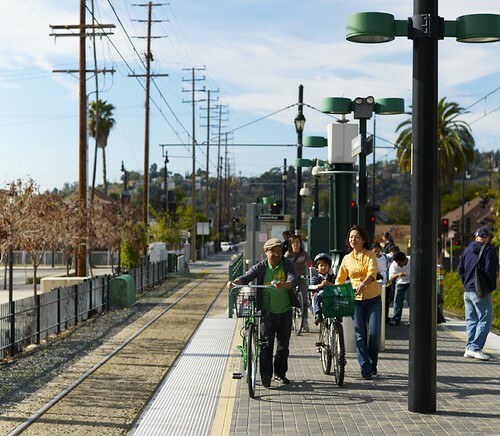 A quick train ride to South Pasadena brought our group of Sunday morning cyclists (in groups from 12 to 25) to a convenient drop-off point in the San Gabriel Valley. 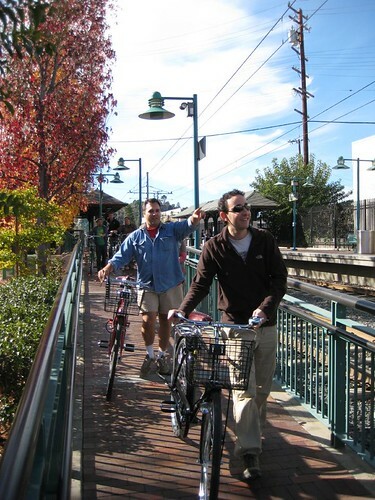 The South Pasadena station is perfect for a nice bike ride, brunch, and a short trip back to the train. The mechanics of the operation were dead simple: we walk a big group of cyclists to an empty train station on Sunday morning; one brother walks people to the boarding areas while the other brother buys 10 to 20 train tickets in one go and hands them out to the riders (the majority of whom: (a) didn’t know LA had trains; and, therefore (b) had never ridden them; nor (c) interfaced with the ticketing machines before). We found that this process also made buying tickets for our family quite easy when we took trips into Downtown or up to Pasadena – wife and kid with non-transit family members chill out while I buy tickets, kid distributes them amongst our party, and we’re good to go. Then came the TAP card system. Trying to buy TAP cards and load value onto them for 10 people is a ridiculous and expensive undertaking. The TAP card system has effectively ended our ability to take pleasant Sunday morning bike trips to the San Gabriel Valley as we had become accustomed. With the TAP card system the MTA got rid of paper tickets and this is how the system works now: we walk a group of 10+ cyclists to the station and here our troubles begin. First, we need to buy TAP cards ($2 each), then we need to buy fares for them individually, then we need to hold each card to the ticket machine to ensure value is added. After we’ve done this process for ten cards, we distribute the cards and make sure everyone finds a silver post in the station that they need to rub their card against in order for our fares to be removed from our TAP card balance. Sometimes I just stand there swiping cards, one after another, cursing the MTA the whole time. Riding the train with a group of new users now costs an extra $2 $1 per person and 15 extra minutes in wasted time trying to get a credit card to work many times in a row or stuffing money into a ticket machine over and over again (which has caused us to miss trains and generally be put off by the whole system). The process for buying groups of fares is broken and without a proper fix the TAP card-only system will ensure that casual users, large groups (say sports fans), families, and others (like our dim sum riders) will steer clear of the MTA’s system. In our more cynical moods we tell ourselves that the MTA is run by a bunch of suburban highway planners who don’t use the system they manage. We tell ourselves that the MTA thinks its buses and trains are transportation subsidies for the poor and the disenfranchised, and dump on these groups simply because they can and face no consequences. Yet we know that the MTA is full of a lot of very good people working hard to solve pressing needs our county faces – moving people quickly, safely, and economically. The MTA is there to facilitate the good life we have all collected in cities for in the first place. 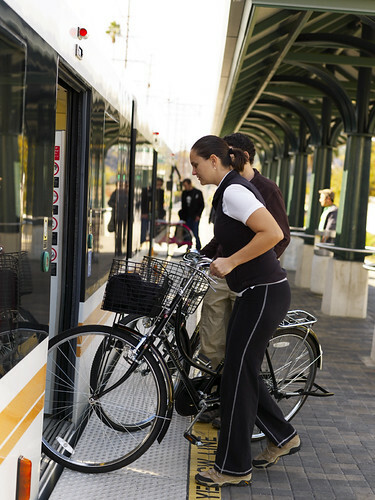 Life without the Gold Line is no fun – trust me! I’ve been living without it on our Dim Sum Rides for months now and it stinks!